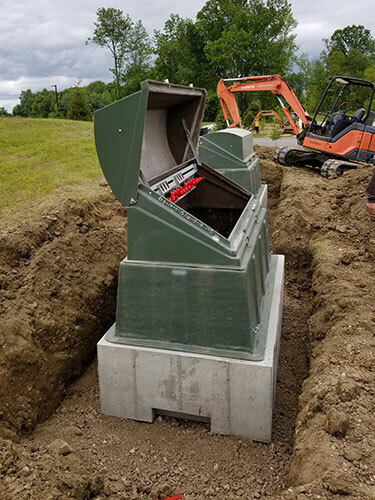 Underground Electric - R&R Pipeline Inc.
A portion of R & R Pipeline’s business is the direct burial of cable or conduit for the electric industry. We maintain a specialized fleet of construction equipment, including excavators, trenchers, directional drilling machines, conduit and wire handling equipment. Our crews have installed miles of electrical conduit and cable, in a variety of environments. The depth of experience our team brings to each project allows us to formulate a complete plan to meet the challenges of the job environment, and project complexity. Want more information about the burial of cable or conduit?